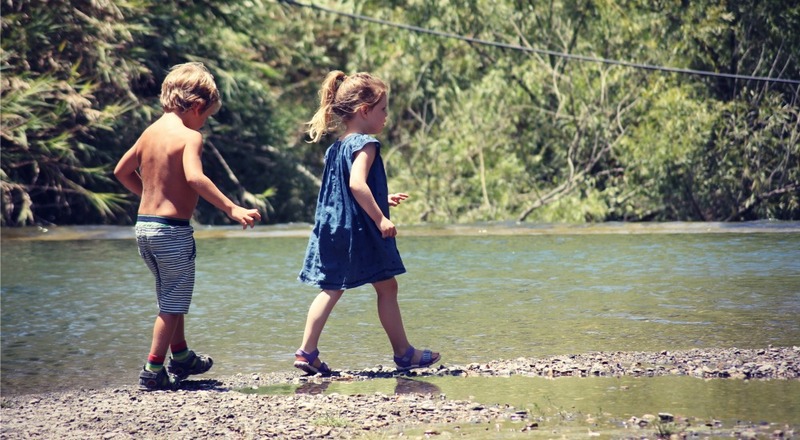 Living in La Alpujarra we are spoiled for beautiful picnic spots where the kids can kick off their shoes and run free for a while. Today we spent a peaceful and happy few hours messing about on the river. 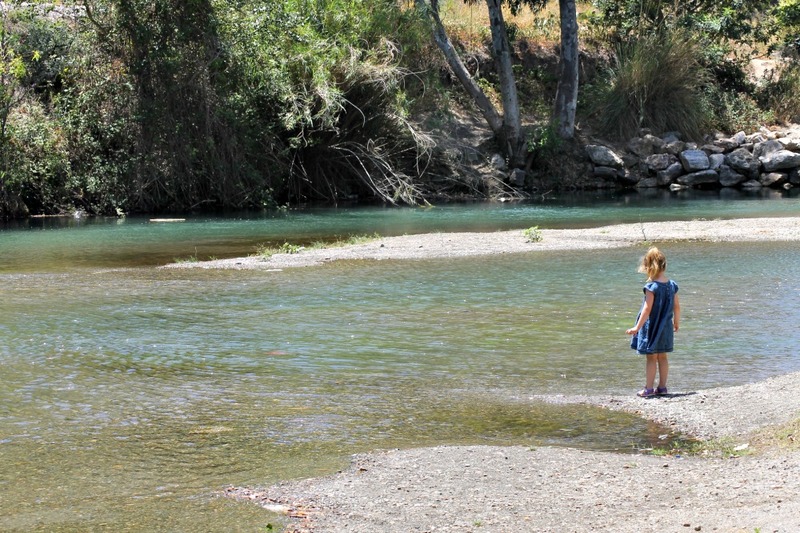 It’s half an hour from Granada and only five minutes from the motorway and, with plenty of shade, fresh water and a cool breeze from the river, it offers a welcome alternative to the beach or the pool in the heat of summer. We arrived a bit after midday and we had the place to ourselves for about two hours before anyone else arrived and it started to get busier. As the summer progresses I plan to visit in the mornings to take advantage of cooler temperatures and lack of people. A few picnic tables are dotted about and there are some grilling stations if you fancy going the full monty with a BBQ. There are loos and also a kiosk, selling hot drinks, beers and ice creams, but don’t rely on this as it is not always open. If a little bit of respite from the sun is what you are looking for, then this place really is a little haven. Eucalyptus and Poplar trees shimmer and sough in the breeze giving dappled shade and a dreamy soft light by the riverside. Take exit 175, for Órgiva and Vélez de Benaudalla, off the A-44/E-902 motorway which runs from Granada to the coast. The road takes you down to the Resevoir, Embalse de Rules, where to turn left at the roundabout onto the A-346 (signs are for Vélez and Granada). The road then winds down below the dam to a bridge, which you cross, and to the junction for the N-323. Turn left in the direction of Motril. 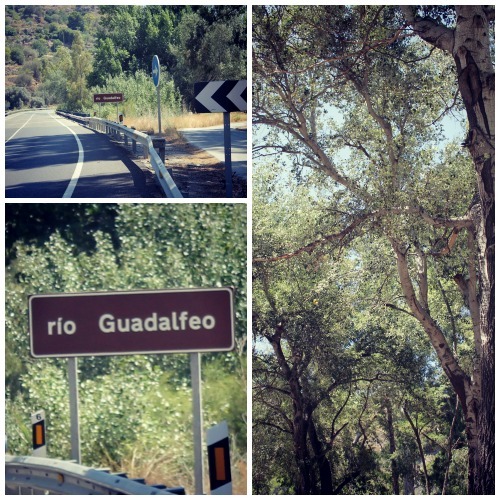 The track is about 300m down the road on the right hand side just before a sign for Rio Guadalfeo. Follow this dust track for approximately 1.5km and you will arrive at the picnic spot. The car park is well shaded, which is always a bonus. * The paddling potential is great in this spot and made even better if the kids have jellies or beach shoes. * Avoid weekends or holidays as this area is very popular with the locals and can get packed. * Avoid the summer crowds by getting there early in the day. You may find that you have the place to yourself until the afternoon. Find more information on places to take the kids when in Granada here. We would love to hear from you if you visit the picnic spot and found this post useful. Please use the comments box below to let us know if there is anything that you would add. This post is linked with the Coombe Mill #CountryKids linky. Click the badge for more outdoor fun with kids. This map has been set to default in satellite view and is zoomed in on the start of the track to the river. You can change it to map view (see top right of map) and zoom out to get the bigger picture.